Gustav Fehn is probably best known as one of the final commanders of Rommel’s Afrika Korps, serving in that position from November of 1942 until January 16 of 1943 at which time he was wounded and the final three months of Afrika Korps leadership was taken over by Hans Craemer. Service in the Afrika Korps had a high price for General officers, with almost 40% of the Generals becoming casualties or prisoners of war. Prior to the Afrika Korps, Fehn also served time at the front in Russia, where his actions led to the awarding of the Knights Cross, in August of 1940. 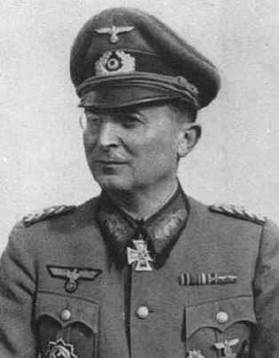 Fehn’s final appointment was as commander of the XXI Mountain Corps in the Balkans, where he surrendered in June of 1945 and was promptly executed by Yugoslavian partisans. 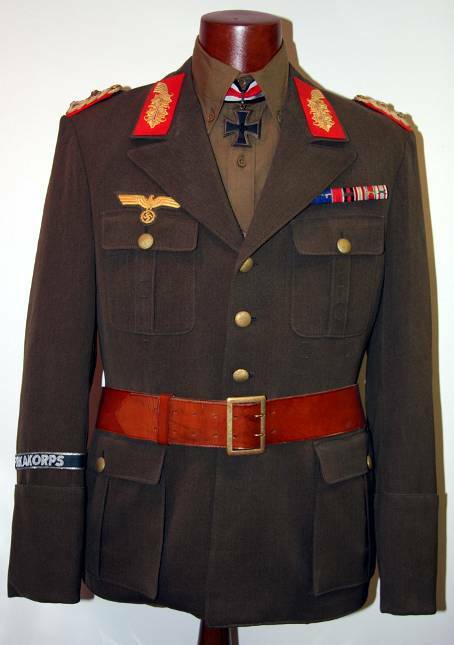 Fehn’s four pocket, General der Panzerarmee dress tunic in tropical dark olive. Another high quality, Erel Generals visor in the very rare tropical dark olive color. 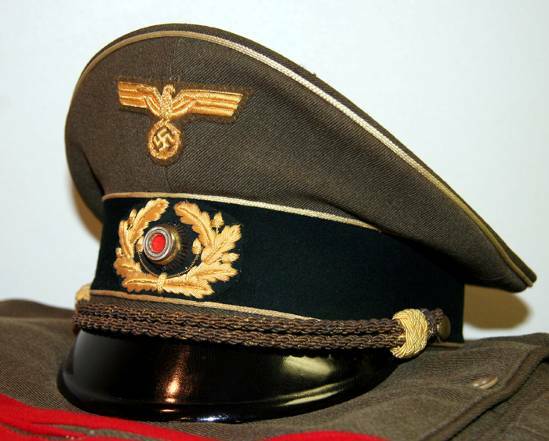 Cap insignia and piping are all executed in gold celleon thread. Notice the chin cord is gold bullion, yet has celleon adjustment sliders. Right side shoulderboard for a full General, with two large General officer size silver washed pips. Boards are constructed of celleon gold cords surrounding an inner aluminum cord. 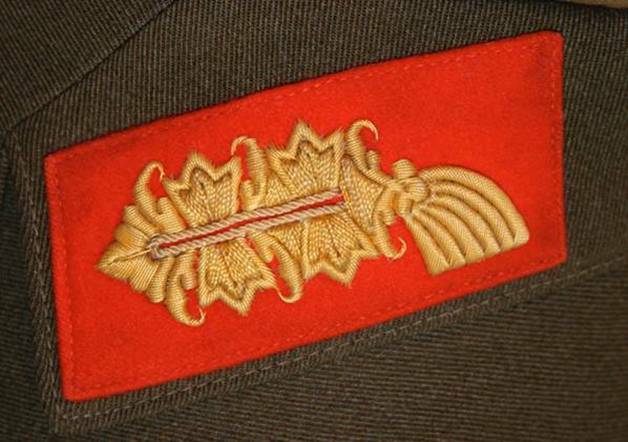 Standard Heer General officer collar tab, very finely executed in celleon gold hand embroidered thread. 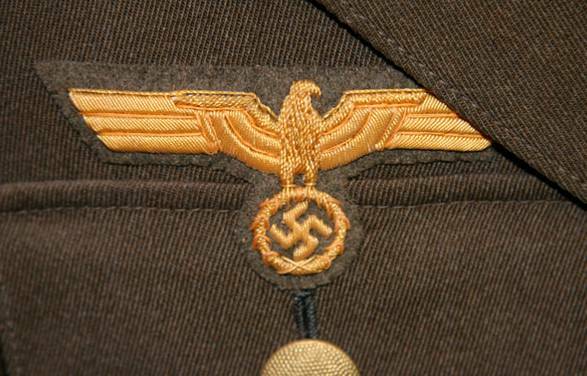 Fehn’s tropical tunic is outfitted with all matching celleon insignia, with this gold embroidered breast eagle being no exception. It matches perfectly to known original examples in celleon, yet has the unique and exceptionally rare tropical brown backing. 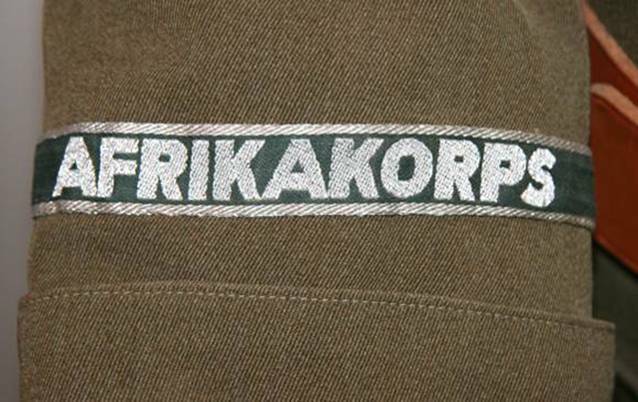 Standard issue officers aluminum embroidered AFrikakorps campaign cufftitle. 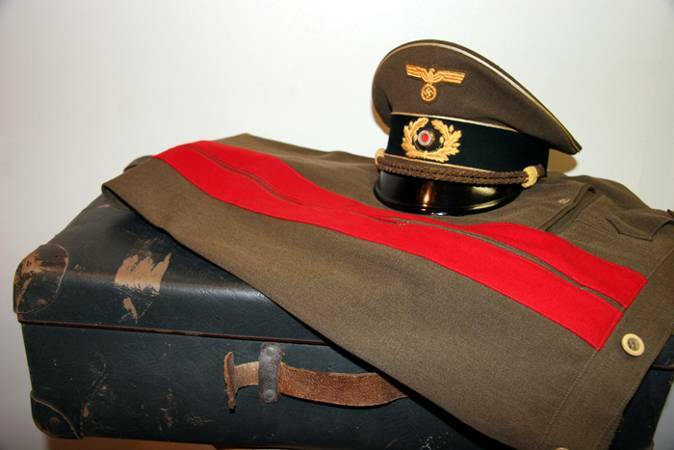 The suitcase Fehn’s uniform was found in, along with a pair of his tropical dark olive Generals long pants with bright red lampassen.